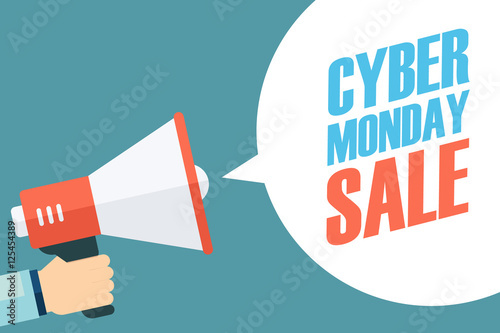 Male hand holding megaphone with Cyber Monday Sale speech bubble. Banner for business, promotion and advertising. Vector illustration.